Rarely does a day go by without a beauty blogger putting their creative genius to the test to magic up a bold new, brow look, only for the makeup artists of Instagram to follow suit. While 2017 has seen the barmiest of brow trends - from the McDonald's to u-turn varieties - this latest take on the facial staple is the freakiest yet. After years of being told the bushier the better, we're now being encouraged to disguise our brows entirely - that's if you want to fit in with the Instagram crowd. If you've struggled to grow beautifully bushy brows that put Cara Delevingne to shame, you can rest safe in the knowledge that nowadays less is more. Enter: KΛPΛSOVIΛ - a self-taught makeup artist who's single-handedly championing the no-brows brows. 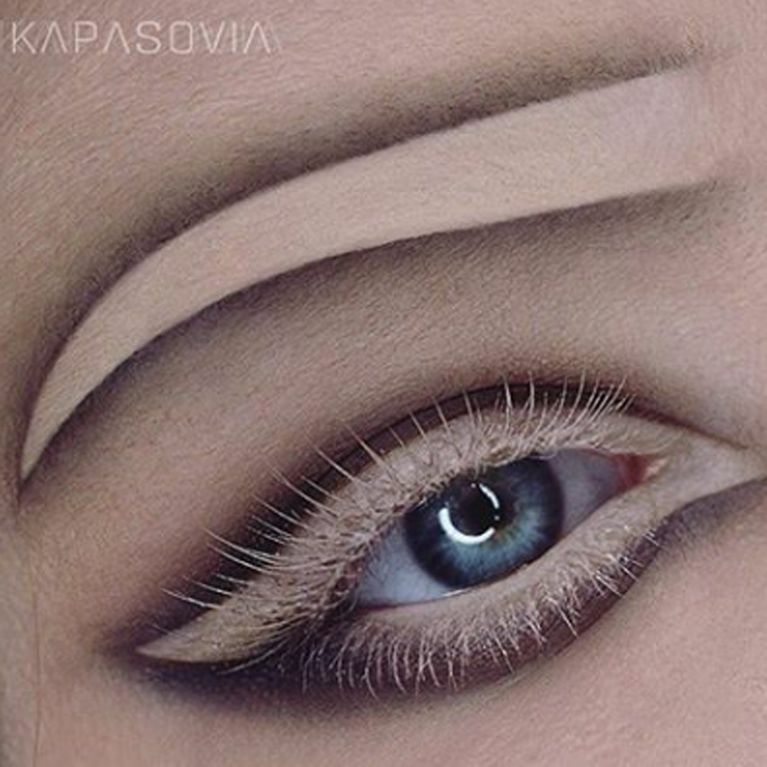 Unsurprisingly, Kapasovia's received mixed feedback, with many followers praising her creativity while many others are confused by negative brows. One wrote: "Amazing... I feel so much inspired . Really nice work! FAN(I am)TASTIC," while another added: "This looks stupid."